ESET is releasing an EternalBlue Vulnerability Checker and a Crysis Variant Ransomware Decryptor. Both tools are available free on ESET webpage. ESET® has announced the release of two useful tools combating recent ransomware outbreaks, including WannaCry (WannaCryptor) and a variant of the infamous Crysis ransomware, which adds .wallet and .onion extensions to affected files. The first tool – EternalBlue Vulnerability Checker, inspects whether Windows is patched against the EternalBlue exploit, which was behind in the recent WannaCry ransomware epidemic and is still being used to spread cryptocurrency mining software and other malware. ESET’s network detection of the EternalBlue exploit (CVE-2017-0144) was added on April 25, prior to the outbreak of the WannaCry threat. The second tool released by ESET is a ransomware decryptor; it helps victims of a Crysis ransomware variant that uses an extension to add the encrypted files .wallet and .onion. The keys were published on May 18 by BleepingComputer.com forums. 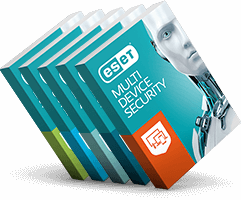 Both tools are available for download from the ESET webpage. Newer ESET/Eurosecure partners with Mullvad throughout entire Nordic region.